As some have said, this is an underrated pet. It is a staple in my flyer teams. 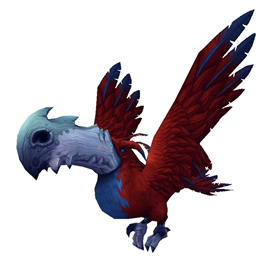 Bloodbeak is one of the more useful PvP pets captured in the wild. It's a cannon that can bring the 1000+ crits, easily turning the tide of a match. The info here needs to be updated. It can be found as a primary in several locations in the middle of Tanaan. I just caught mine that way yesterday and I saw several others as well. If you use the Pet Tracker add-on, its spawn points are accurate. Underrated pet, this and Axebeak Hatchling (I left a similar comment on as they are both the same). The Rain Dance/ Nocturnal Strike combo can literally one shot aquatic pets and sometimes a crit can almost one shot other types of pets too especially if you get a P/P. Great for PvP and great for boosting. Poor defensively so hope you crit before you get crit! Rain Dance is a really powerful ability both by itself and used with bombs. Cast anything that explodes and has a timer, swap to this char and pop Rain Dance before the bomb is set to go off to add 50% more chance that it will crit. Add that to Nocturnal Strike in addition to a heal(because you probably got hit changing in). I found this pet -on its own- several times around Vol'mar. 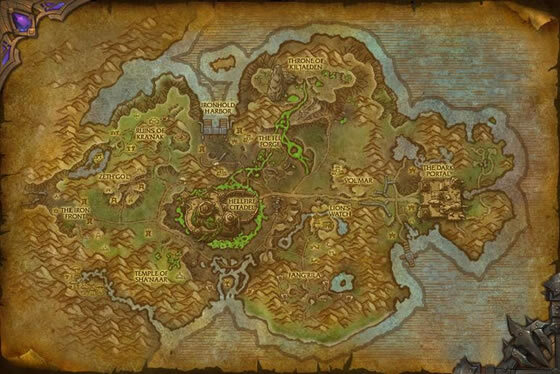 If you're Horde, just hop around there for a bit til one spawns. I don't know where all this "only spawns alongside other pets" stuff came from.. I must have started a dozen battles trying to find a Bloodbeak that was not B/B. I finally gave up and decided I'd take one of those and look for an upgrade later, just so I'd have one. AFTER I captured the pet, it was shown as P/P. I don't know if this was a bug with my PetTracker addon (version 6.2.3) or maybe an in-game bug where the breed is being displayed incorrectly, but I figured I'd share my findings in case someone else is in the same situation. I was doing one of the dailies last night, gathering 100 claws, and kept finding these as the main pet. Fought 4 or 5 Poors before I found a Rare. I wasn't even looking to nab a rare, but I kept killing the Poors before I realized it. I have also found this pet north of Vol'mar as both a primary and a secondary. I have yet to see it anywhere else. Just got one this morning, but not as an add, so apparently you don't have to hope to get one as a secondary pet in a fight. Found some just north of Vol'mar. Got me one today as a secondary pet. 2 clicks north of Vol'Mar. I saw a Horny Toad, clicked on him, rare Bloodbeak was the third pet... needless to say, I killed the first two!